Haley is smart, tenacious, articulate, Conservative, a tireless defender of Israel who stands up to the Jew-Haters in the U.N.
She would be a spectacular POTUS. Filed Under: IslamoNazis, Israel, Israel Defense Forces, Jew-haters, Jew-hatred, Nikki Haley, Politics, U.N. Tagged With: AIPAC, Israel, Nikki Haley, U.N.
American taxpayers pay for this Jew-hating filth via America’s financial support for the U.N., a vile and useless organization that overwhelmingly serves the interests of tyrants, Islamist mass killers, and Jew-hating regimes. 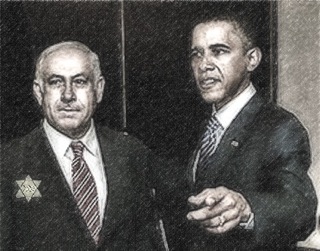 The one and only Pat Condell on Obama’s go-to international community the United Nations and the Jew-hatred that animates that sewer. Muslim Student Defends Israel at the Jew-hating U.N. Here at Seraphic Secret we’re always hearing about the vast ocean of moderate Muslims who oppose the, er, minority of radical Islamists. For the most part, we dismiss this view because as history tell us—over and over again—a silent and ethically pliable majority easily slip into the role of enthusiastic genocidaires. Thus, when a true moderate Muslim steps forward and speaks unspeakable truths in defense of Israel and the Jewish people we praise such rare and courageous behavior. Amran Hussain, a Muslim, spoke at the UN on behalf of the European Union of Jewish Students. We confess to a queasy feeling in the pit of the stomach, fearing for the life of this decent young man, because in the Muslim world, he will, no doubt, be denounced as a heretic and agent of the Mossad. Take note, in just under five minutes, Mr. Hussain unleashes a barrage of self-evident truths that were deliberately ignored and distorted by Mr. Goldstone in the seven-hundred page blood libel that bears his name and which he now (sorta) recants. Goldstone will be inscribed in Jewish history as a willing tool of Amalek. Eight U.N. workers were butchered, several beheaded, in Afghanistan by a mob of Muslims. The justification, and there is always some dopey grievance put forth to disguise barbarism, is the burning of a Koran by Terry Jones, a loathsome creature—for his celebrations of U.S. servicemen’s deaths—who calls himself a Christian. Let us be morally clear: It is the Muslims rioters and murderers who are responsible for this latest Islamist atrocity. Mr. Jones and the Koran burning are just a convenient pretext, part of a deliberate strategy to intimidate and squash free speech in the West. Let me say this again: The Muslim killers of the innocent U.N. workers must be held accountable, not Terry Jones. Because if you blame Terry Jones, then you must blame a woman who is raped—par for the course in the Muslim world—because she dressed provocatively. Look for the U.N. to blame Israel/Jews/Zionist agents for the murders. It is, sigh, inevitable. With great eloquence, Daniel Greenfield weighs in on the Koran burning and freedom of speech. Meanwhile, in Egypt, the Muslim Brotherhood are, as Seraphic Secret predicted—common sense is a great asset when analyzing geo-politics; that and the blessed absence of an Ivy League education—is consolidating its power and forming a death grip on the country.